YES. Did you know that in the state of Idaho, there is no licensing requirement for residential contractors? Contractors must be registered, but no actual license or testing is mandated. This is why we are registered in Idaho and LICESNED in Oregon. We believe in accountability so that you can rest assured that we are a step above the industry standard. YES. We carry a general liability insurance policy to protect you and your home in the unlikely even of an accident. We also carry worker’s compensation to protect our technicians, as well as an automotive policy on all company vehicles. Do you offer night and weekend emergency service? We do not offer after hour services at this time. This allows us to attract and retain the most qualified technicians as they know that we value their personal time with their friends and families. Yes. We offer gift certificates for just about any occasion. These make great housewarming, wedding, birthday, Christmas, and thank you gifts. You can purchase by phone, email or stop by and see us in our Eagle office. Upon completion, you have multiple payment options for your convenience. You will receive an invoice via email with a link to pay online or you can choose to keep a card on file and we will bill upon completion. Another option is to send a check in the mail or call in to pay via phone. We accept cash, checks, debit and credit cards. How do I know I can trust the people entering my home? All of our technicians go through a thorough screening process from both our internal office and a third party screening service. They are background screened, drug screened, and must stay up to date with our continued training. We value the trust that you have placed in us to make certain that only the most professional and experienced technicians are in your home. Do I need to be home at the time of service? Not necessarily. You are more than welcome to be home during your scheduled appointment. However, arrangements can be made for entry so that you can continue about your busy day. We value your time. 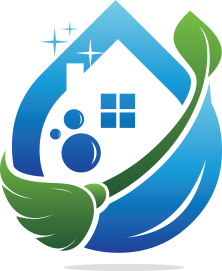 Rest assured your home will be treated with the upmost respect and care. What if I am not happy with my service? Your satisfaction is our top priority. If for some reason you feel that we did not exceed your expectations, please contact us within 24 hours so that we may address any concerns. Do you have different cleaning packages available? We offer standard housekeeping, recurring cleaning services, deep cleaning visits, and move-in/move-out cleans. We will send you a services sheet that you can review and create your own customized package to ensure that all of your needs are met. Do you bring your own supplies, products and equipment? Absolutely! All of our supplies are included in the price. We also offer an all natural cleaning product package for those that are sensitive to chemicals. Do you move furniture to clean underneath? Our cleaners cannot move large or heavy furniture. However, they will move small chairs, rugs, lamps etc upon request. Do you clean areas that I cannot reach? We have extension poles to clean ceiling fans and fixtures. However, our cleaning specialists are instructed to climb no higher than the 3rd step on a 3-step ladder. What if I need to reschedule my service? We understand that unexpected things can come up. We ask for 48 hours notice if you need to reschedule. If you cancel less than 24 hours from your service appointment, we may impose a cancellation fee. You can cancel via email or phone for your convenience.